Combining elements of Christian apologist C.S. Lewis' "Narnia" series and "Space Trilogy," Norman Juster's "The Phantom Tollbooth," Lewis Carroll's classic "Alice in Wonderland," and Madeleine L'Engle's perennial favorite "A Wrinkle in Time," "The Portal" is a delightful, if short, first installment in the allegorical "Journeys to Fayrah" quadrilogy. Some of this book may be a bit much for elementary schoolers, but teens and adults will probably enjoy it. 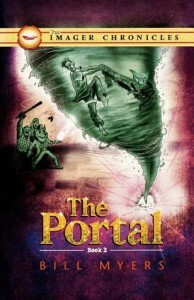 Just be sure you have the sequel on hand; the ending of "The Portal" will most likely make you want to read the next installment as soon as possible.